On a telephone town hall forum on Thursday night, Congressman Mike Michaud joined more than 1,000 members and supporters of the Maine People's Alliance to answer questions about federal and state health care issues and discuss how everyday Mainers can get involved in the effort to accept federal funding in order to expand health care coverage in Maine. "Mainers are already seeing the advantage of the Affordable Care Act and hopefully this legislature will be able to move forward with the expansion of the MaineCare program which is not only the morally right thing to do, as it will cover approximately 70,000 people but it's the fiscally responsible thing to do as well," said Michaud during the event. "Maine will save approximately $600 million over a ten year timeframe because of that expansion and hospitals will receive an addition $438 million over that timeframe. It's a win-win all the way around." 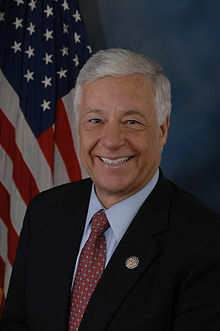 Michaud worked in Congress to make sure Maine was able to access an enhanced reimbursement rate for Medicaid through the Affordable Care Act and has been outspoken in favor of the state accepting federal funding. More recently, has been meeting with and hearing the stories of some of the 70,000 Mainers who would be helped by expanding coverage. Responding to questions from across the state, Michaud also spoke in favor of transgender-inclusive health care coverage and stated his support for universal health care, citing the example of Vermont’s implementation of a single-payer system at the state level.